So what can you do to build the motivation to starting a regular exercise program? Here are some strategies for getting yourself motivated and overcoming the common challenges to following a regular fitness routine that you can apply in your life today. When it comes to having a regular exercise routine, in our minds the benefits you get from exercise have to outweigh the the obstacles and health/lifestyle risks of not excising if you’re going make a change in your life. For me, what motivated me to start exercising and lose weight was when my doctor told me that at 28 years old, I would need to start to take blood pressure medicine. The idea of not even being 30 years old yet, and having to start taking a prescription medicine for the rest of my life was enough to get me moving. Of course, this meant I had to now make time for exercise, and had to change the way I thought about food (cause seriously, I love to eat). But it was worth it, since I lowered my blood pressure and don’t have to take any prescription medication. The reality is that motivation is different for every single person. What motivated me may not motivate you. But I share my story because my “A-HA” moment, the moment when the health benefit outweighed the risks, was my doctor told me I needed to go on blood pressure medicine. Do this – take a piece of paper, or download this spreadsheet, and list out all of the benefits you think you’ll get from regular exercise in one column, try and list at least three. 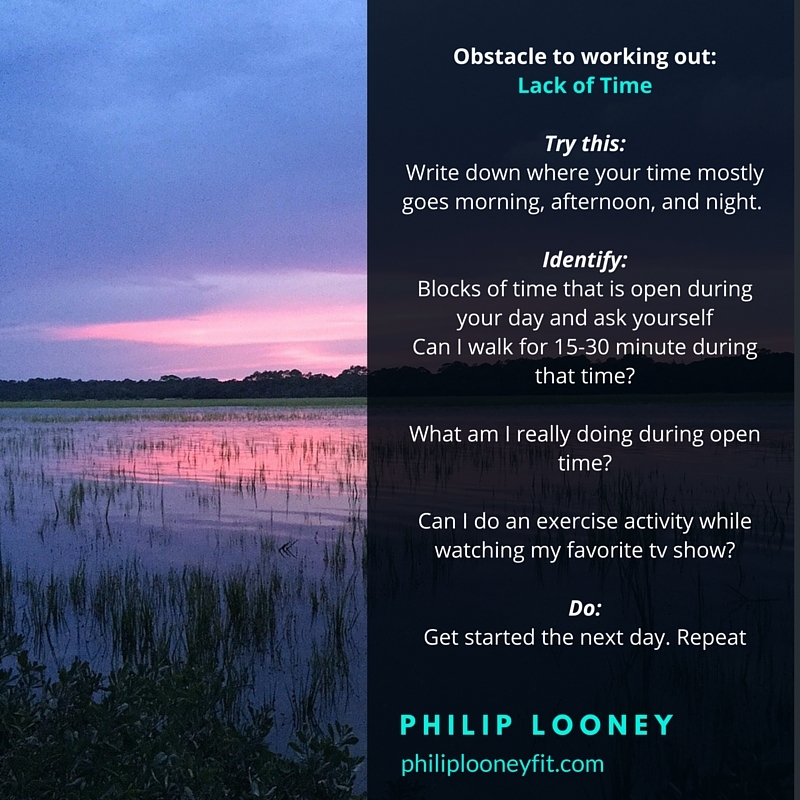 In another column, list the obstacles you have to exercise, again try to list at least three. In a third column, list the health risks you might be facing right now or could face in the near future if you don’t start an exercise program. In my case, I realized the benefit of lower blood pressure was greater than the cost of taking blood pressure medicine and the cost of overcoming the obstacle of time and lack of a gym membership. I decided to make it a goal to do something active for 30 minutes everyday, and that meant running and exercising with the Wii Fit. 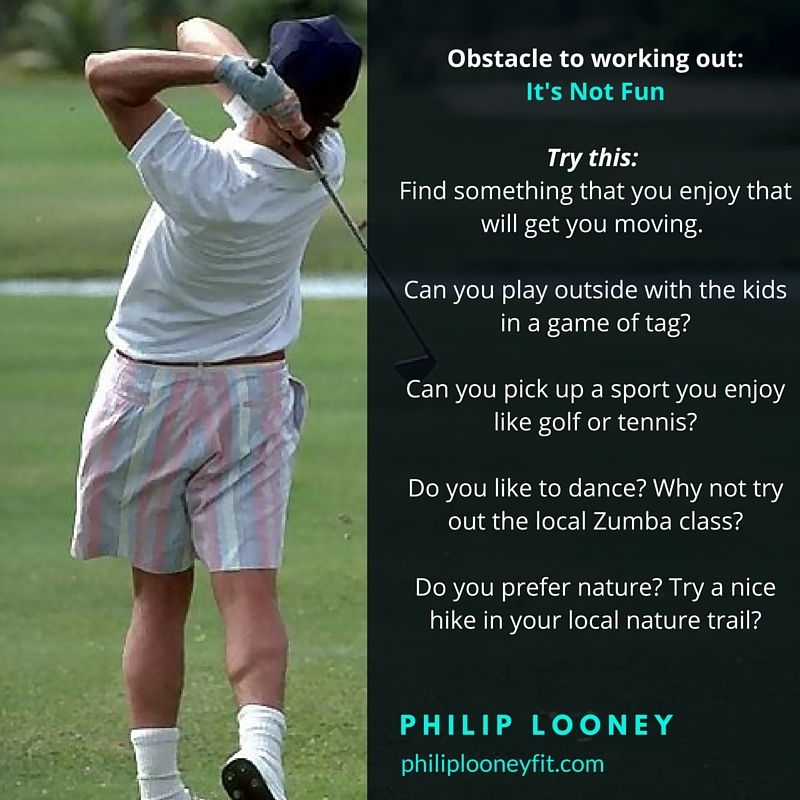 But how can you address the obstacles you face to regular exercise? You probably would agree with one or two, if not all three of those as reasons you struggle to maintain a regular exercise program. If that’s the case, here are some ideas on how to overcome these obstacles. I’ll never forget a conversation I had with a friend of mine who asked me about how I had lost weight. I told her it was mostly by making time for regular exercise. She said “I just don’t have time to exercise.” I asked her, “do you watch TV?” The look of recognition crossed her face immediately. Real talk, in most cases the issue isn’t a lack of time but a lack of making exercise a priority in our life. The reality is we make time for the things we prioritize, even if it means watching our favorite TV show. For me, I realized that my regular pattern was to get off work, come home, cook dinner, then lay on the couch for the rest of the night and binge watch whatever DVD had just come in from Netflix (this was pre-streaming days). So once I started carving out time for exercise, that meant that maybe dinner started an hour later and I watched an hour less of TV. I’ll use an illustration I once heard about making time for exercise. If you were diagnosed with a serious, life threatening illness, and were told that in order to live you had to come into the doctor’s office everyday for an hour for treatment, what would you do? You would no doubt make any adjustments needed to be at that treatment each day. The reality is, being sedentary is life threatening. You might not feel the effects today, or tomorrow, or a year from now; but at some point being inactive will catch up with you through injury, or disease. Look back at the list of health risks you listed on your spreadsheet or paper. If you’re not suffering from them now, you will suffer from them later if you don’t make regular exercise a priority. Now, maybe you live a life that is packed full with a full time job, then your part time job, caring for children, caring for spouses, caring for parents, etc. But is every single minute of your day so packed that you can’t find 30 minutes to exercise? Even CEOs, some of the busiest people with constant demands on their time, make time to exercise. So how do you find the time? Do this – sit down and really thinking about where your time goes each day. Write down where your time mostly goes morning, afternoon, and night. Are you really so “busy” that you can’t take 30 minutes a day to focus on your health? There is no hobby or unnecessary activity in your life that you can’t sacrifice to make time for exercise? When you identify the time, block it off in your calendar. That might mean a 30 minute break at lunch to go for a walk. Or it might mean an hour before work to go to the gym and do strength training. 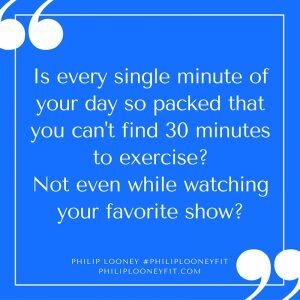 There is absolutely going to be a trade off, but you have to take the long view in your mind of the benefits you’ll get from regular exercise verses watching one more episode of season 3 of your favorite TV show. Some times, the issue can just be poor scheduling. The CEO’s who work out everyday block that time off in their calendar. You can do the same. Block the time off in your calendar right now for the time you want to exercise all through the week. Even the most active people will tell you there are days when you’re just flat out exhausted. Things like stress on the job or lack of sleep impact your energy and can drain even the best of us. But they still go to the gym. Why? Because a good workout can be a mentally and physically rejuvenating experience. Studies have shown that regular exercise increases energy and reduces fatigue. This is because at a cellular level, exercise activates the mitochondria in your cells, which is what produces energy for us to move. The more regularly the mitochondria engage, the more efficient they can become at producing energy, thus regular exercise can give you more energy. The misconception is that when exercising you have to go 100% all the time. No pain, no gain, etc. The reality is that just 30 minutes of moderate exercise has tremendous benefits and doesn’t require 100% effort. When I don’t feel great, tired, drained, whatever – I just scale it back. Maybe just do some Pilates or functional movement exercises. The point is, I do something to be active. Do this – just try taking a walk everyday for 30 minutes for the next week. That’s it. 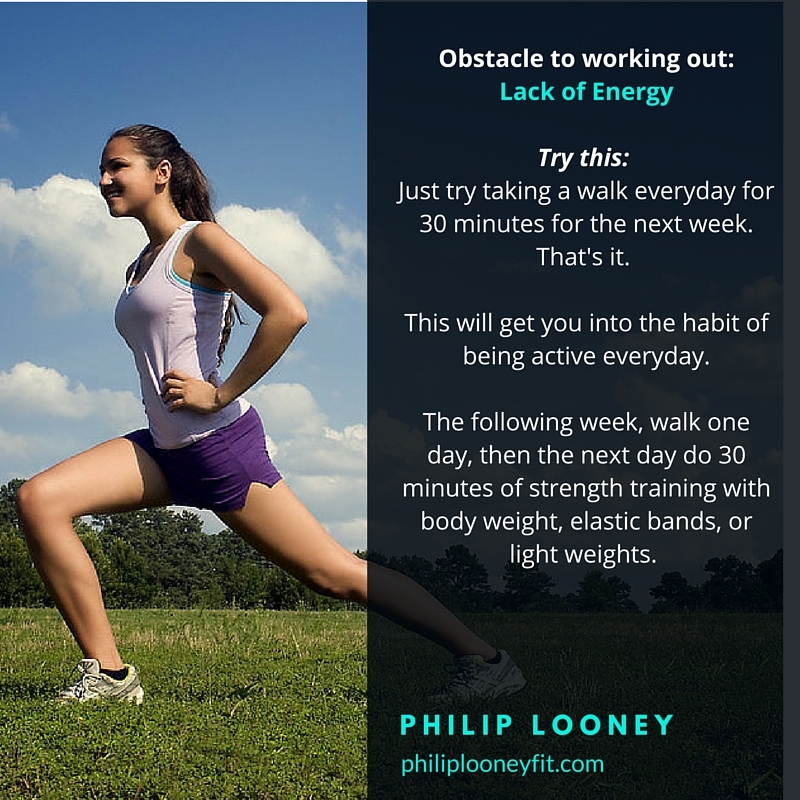 This will get you into the habit of being active everyday. The following week, walk one day, then the next day do 30 minutes of strength training with body weight, elastic bands, or light weights. You can use the principles outlined in my Strength Training Guide along with the workout to come up with what you should do. Continue to alternate walks with strength training. You’ve now done a 14 day training program! Remember, the goal is to get moving, to be active, to have a sense of accomplishment; not to be so exhausted that you’re miserable. So maybe the idea of running on a treadmill for a half hour is not your idea of fun. Honestly, it isn’t for most people. Or maybe you don’t like the idea of picking up heavy weights and putting them down again. That is totally ok. As I said before – the goal is to be active. So find something, anything, that you enjoy that will get you moving. Do you like to play sports? Look for adult leagues in your area, like Everplay Columbia. They have adult kickball, softball, flag football, volleyball – just about anything you’d want to play. You could also take up a sport you enjoy like golf or tennis. Even just going outside and shooting the basketball around can be a fun way to get active and still be low impact. Do you like to dance? Try a Zumba class in your location. Do you prefer the quiet tranquility of nature? Go for a hike in a local state or national park. Many also offer opportunities for canoeing and kayaking which is a fun workout. Personally I’ve really enjoyed playing disc golf, which is very easy to play, and gives youa nice excuse to get out and walk around in the park. Not sure what you might like? Try out different group classes in your area. Many times you can find low cost intro classes on Groupon or Living Social. The point is – find something you enjoy, and do it. When it comes to motivation to start, and continue, an exercise routine/healthier lifestyle, the key is changing our mentality. Jessi Kneeland wrote a great article about how to make fitness a life long practice. Essentially, rather than focusing on “I must work out to lose 20 pounds”, or a process/goal type thinking, just focus on enjoying the practice of exercise for the sake of exercise. This can take the pressure and drudgery out of a regular exercise routine. If after doing your cost/benefit analysis of why you need to start exercising, you still need some extra motivation to get the needle moving, read Cassey Ho’s How to Get Motivated. She gives you 10 ways you can move the needle and get moving. Number 2 on her list is a great one – tell other people your goal. That positive peer pressure can do wonders to get you started and keep you going. In addition to changing our mindset and overcoming our motivation obstacles, we also need to look at our environment. James Clear wrote a nice article about the role of environment in our taking action. A prime example of making changes to your environment is joining a gym that is on your way home from work. You’re less likely to skip going to the gym that day if you have to pass by it anyway. As a way to track your progress, you could use Jerry Seinfeld’s productivity secret. Do something active everyday for 30 minutes, no matter what it is, and don’t break the chain. Motivation differs for each of us. The key is finding that “why” – the reason we need to exercise because the price of not exercising is just too high. 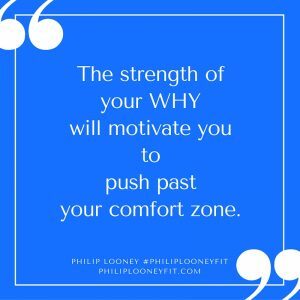 Once you’ve found your why, work to overcome the obstacles you face. If the three listed above aren’t ones you face, let me know in the comments, and I’ll be glad to help you with ideas on how to overcome your specific challenges.